Give us a call at (519) 804-2429 for a free consultation. Your local Kitchener Personal Injury Lawyers are proudly serving the community, offering help and support to accident injury victims in their time of need. We have helped countless victims of Motor Vehicle, Motorcycle, Public Transportation, Slip and Fall, and Pedestrian acidents, as well as Dog Bites, Product Liability Claims and Long-Term Disability. The legal professionals at ABPC Law have represented victims of Traumatic Brain and Spinal Cord Injuries, Orthopaedic Injuries, Injuries caused by Psychological Trauma and Chronic Pain, with some of the highest recorded settlements in Canadian Law. Our Kitchener accident lawyers will ensure that your rights are protected and that justice is served. We will identify the issues, investigate the facts and ensure that you receive what you deserve. We possesse the vital experience that comes with conducting trials at all levels of the court in Ontario. Regularly making home and hospital visits not only allows us to protect your rights without delay, but also allows us to provide a personal service at a time when your injuries have restricted your mobility. ABPC Law is your first choice when dealing with an accident injury. We will ensure that you get all of the benefits and compensation that you deserve. Whether the injuries are minor, spinal cord or traumatic brain injury that leads to permanent disability, we have extensive experience in representing such clients. We know that debilitating injuries can lead to loss of wages, medical and rehabilitation bills apart from mental anguish that you endure. And that is why you need justice and compensation while we are available to assist you. You may call us to schedule an appointment for consultation and legal representation on all levels of the Ontario court. We are your local Kitchener injury lawyer serving the community by protecting your rights and offering legal support and representation to the highest levels. We identify the core issues, do a complete investigation and make sure that the victims receive the compensation you deserve. ABPC Law has vital experience that ensures that we can negotiate an out-of-court settlement or represent you if the case stands for trial, we still aim to get you the maximum compensation possible. We make home and hospital visits to ensure that you don’t have to visit our office nor wait for justice to be dispensed. Most of the personal injury cases have a stringent timeline and that is why it is important to file for compensation as quickly as possible after the accident. From filing the detailed documents, building a case and getting the evidence, we work on all aspects of the case to ensure that your rights are protected. 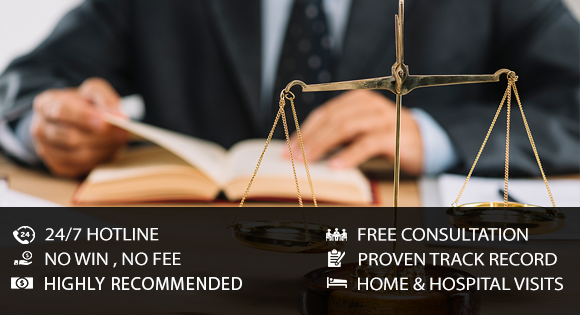 Call us or email us to schedule an appointment with our experienced lawyers and get justice.